Works with Type C Devices. We promise to try our best to resolve the problem and usually that is what we do. Capacity: 2000 mAh. Universal Portable Battery for your convenience. We are always available for communications during these hours. Fits: V710, E815, V276, T730, T720, T300P, 120, 343, V260, V265, V60P,V65P. Compatible With: Motorola Droid Mini, A855, BIONIC XT875. 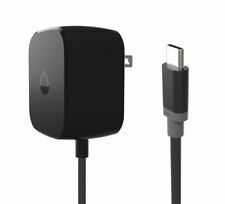 The USB Cable connects your phone to the travel adapter for charging at the wall socket, or the USB cable can be used on its own for charging and synchronization with your PC. The USB Cable connects your phone to the travel adapter for charging at the wall socket, or the USB cable can be used on its own for charging and synchronization with your PC. 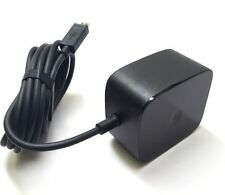 Genuine Motorola accessory. Includes Original Data-Charging Cable. 1 x Motorola Micro USB Cable. Part Number: SPN5864A / SSW-2680US. Compatible ModelFor Motorola Droid Turbo,For Motorola Droid Turbo 2,For Motorola Moto E,For Motorola Moto G,For Motorola Moto G4,For Motorola Moto X,For Motorola Moto X Force,For Nexus 6. & For Motorola Moto E, For Motorola Moto G, For Motorola Moto G4. Built-In USB Cable, Supports USB & Micro-USB. Extended Capacity (3000mAh). Trending at $11.69eBay determines this price through a machine learned model of the product's sale prices within the last 90 days. Fits: V710 E815A840 T720 series T300p V60 series V265 V276. 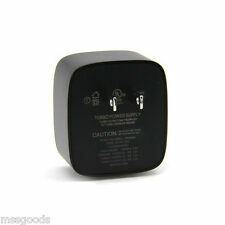 EOM Motorola Droid X & X2 SPN5612A Docking Station Charging Cable & HDMI Cable. Listen to music, see photos or watch HD videos using a standard HDMI cable. Requires an HDMI cord (NOT included) to watch HD videos and pictures on a HDTV. Motorola micro-USB cable SKN6461A. Limitation of Liability. Over and over. One for all. Detachable micro-USB data cable included. TurboPower: 9V / 1.67A (15W). TurboPower: 12V / 1.2A (15W). Power Output. Worried about support…?. How about this. The optimized battery charging algorithm enables turbo charging while maintaining good battery cycle life. It includes a micro-USB charging cable. • One for all. Ports: Single USB (a detachable micro-USB to USB charging cable included). One detachable micro-USB to USB charging cable. Power output: 15 Watt. Not Compatible with Droid X and Droid 2. Item model number: SPN5912A. Compatible with Moto Z Force, Moto Z Force Droid, and Moto TurboPower Mod. Turbo Power 30 can be used with most devices that use the new USB Type-C technology. The USB Type-C connector is a reversible plug, which allows it to be plugged in either direction. Get a quick burst of power when you need it. TurboPower 25 is compatible with devices using the Micro USB TurboPower technology†. Compatible with TurboPower Micro USB 25 watt smartphones. Compatible with TurboPower Micro USB enabled smartphones and tablets. Model: SPN5912A. Whether these products are refurbished by the original manufacturer, an authorized third party, or another professional repair service, all of our refurbished products undergo a thorough inspection and cleaning before they get to you. This is anUNTESTED OEM Motorola Droid X or X2 Docking Station. The model number is SPN5612A. There are a few signs of wear and tear as shown in the pictures. Our pictures display the actual item. If it is not shown in the pictures then it is not included. 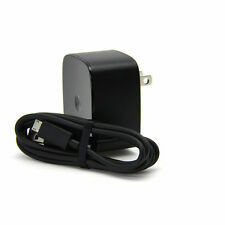 Motorola Original- SKN6461A micro-USB data/charging cable. For charging and data sync and transfer with micro-USB devices. Compatible Motorola phones include: Droid Turbo 1 and 2, Moto X Pure Edition / Play / Style / Force, Moto G3 Turbo / G4 Play Plus/ G5 Plus, Moto M, Moto E2 / E3 Power, Droid Maxx 1 and 2, Moto Droid Mini / Ultra, Moto 360 2nd Gen and Sport, Droid 1 / 2 / 3, Droid Razr / Razr HD / Razr Maxx, Nexus 6.